While Adam Lambert is busy being exciting and flamboyant, Kris Allen is apparently busy being boring. What a yawn. I don't know, maybe I was just hoping for another Justin Timberlake after Allen won his season of American Idol, but I've just been left wanting more. Also...didn't "The Truth" come out as a single back in May? Why the huge delay between the single's initial release and the video? "Live Like We're Dying" was a decent showing for Allen but this song, written by Toby Gad and Train frontman Pat Monahan, is just such a snooze! BORING. YAWN. NEXT! I'm not saying I want Kris Allen to go all Lady Gaga on me but he has to do something different...and the charts agree! The song has yet to do any damage on the Billboard Hot 100 and the only place the song has charted is on Billboard's Adult Top 40 Chart, where it peaked at #16. 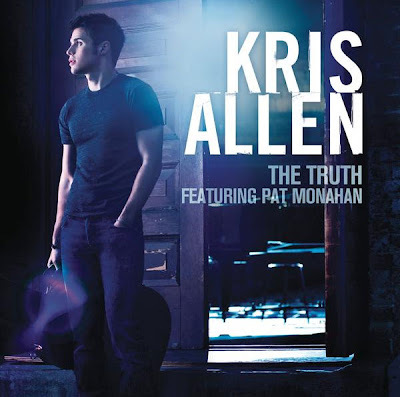 Yes, America voted for Kris Allen but Kris Allen has yet to show me that America was right. I've been largely unimpressed with M.I.A. 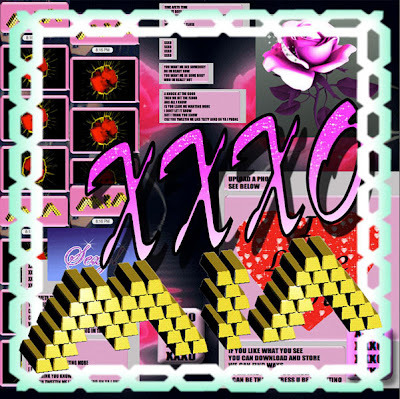 's recent singles but there's something I really like about "XXXO," which has yet to chart here in the U.S. Honestly, I think the last M.I.A. song I really enjoyed listening to was 2008's Paper Planes and that was by and large because of the tremendous DFA Remix. Admittedly, like many who watched M.I.A. 's disturbing video for "Born Free" I wasn't sure what to expect from her next release but "XXXO" is very listenable. The video is also CONSIDERABLY more watchable in that there's no senseless slaughters happening during any part of the video. Yes, I'm easy. That's all it takes for me to really like a video. Not a lot of sensless death. While I know there was a deep meaning behind the video, sometimes less is more. The "XXXO" video definitely is less and I'm fine with that. M.I.A. looks GORGEOUS, the background is minimal and the FX are kind of cool. The video's got a very dreamy look and feel which works with the beats and M.I.A. 's vocals. While the song has yet to chart in the U.S. it has been doing better in Europe, reaching #3 on the airplay charts in Denmark and #26 on the UK Singles chart. Remixes have been done by Blaqstarr, Fulton Yard/WaltBoogie, SBTRKT and Riton. There's also an official remix with Jay-Z. 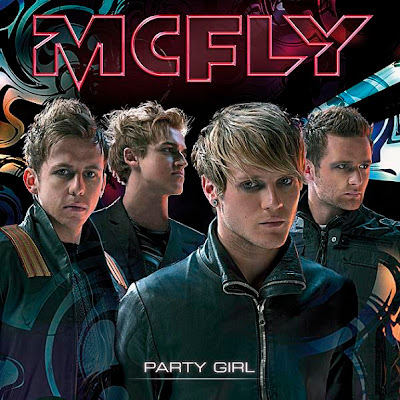 The single was written by Tom Fletcher, Danny Jones and Dallas Austin and produced by Dallas Austin. It's due for release September 6th on 7" picture disc, CD Single and digital download via Island Records. Congratulations to the boys, as their single was just added to BBC Radio 1's A-List on August 25th. Oh...and look out for remixes by Doman & Gooding and Danny Jones. Oh Kaci Battaglia. Where did things go wrong? "Body Shots" was already iffy for me. I was just waiting for the video to come out, HOPING that it would really blow me away, but it just left me wanting more and feeling dirty. Sometimes if I'm on the fence about a song, a good visual aide can really change my mind. This unfortunately is NOT the case with "Body Shots." The budget on this video is SUPER LOW. Minimal set. Sleazy back up dancers. The most expensive thing appearing in this video is rent-a-rapper Ludacris, who plays his part without ANY energy or passion. He basically just stands there while Battaglia dances beside/infront/behind him. What a blah video! I think with her last single, "Crazy Possessive" we kind of got the impression that she was moving in a more mature popstar direction. Her latest video kind of goes overboard in that regard. "Body Shots" is the second single off Battaglia's forthcoming 4th studio album, Bring It On, her first studio album in 8 years. Right now the song is at #24 on the Billboard Hot Dance/Club Play charts and working it's way up. Seeing how "Crazy Possesive" hit the #1 spot on the dance charts, chances are this new single will do pretty well too. I don't know...I'm still on team Kaci...I'm just a little more cautiously optimistic after this release.